Hail to the queen! 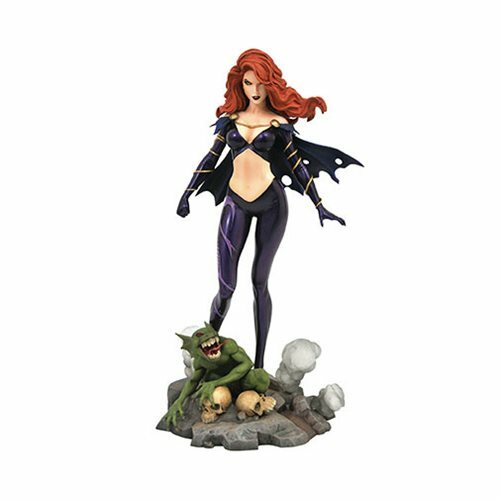 Based on her appearance in Mutant X, this sculpture of Madelyne Pryor, the Goblin Queen, is made of high-quality plastic and features detailed sculpting and paint applications. Measuring approximately 9-inches tall, it comes packaged in a full-color window box.